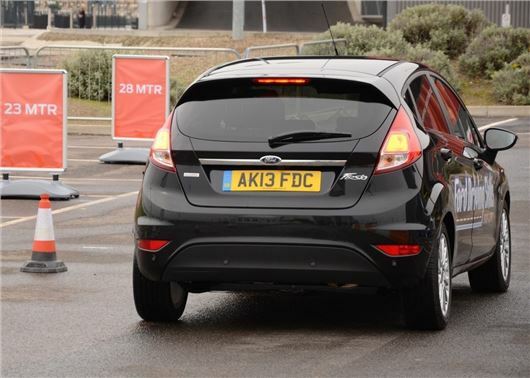 Ford has extended its free driver training programme for motorists aged 17-24. Driving Skills for Life was launched across the UK in 2013 in a bid to cut accidents and Ford has confirmed that the programme will return in 2014, with the first event taking place in Glasgow from 18 to 20 September. Organised in conjunction with the Royal Society for the Prevention of Accidents (RoSPA) and the Automobile Association (AA), the free training features a combination of classroom based teaching and hands-on exercises. The half day training will cover a range of subjects, which include vehicle handling, hazard recognition, distractions and speed/space management. Pupils will also get the chance to wear a specially-developed ‘Drink Driving Suit’, consisting of weights with pads to restrict movement, headphones to distort hearing and ‘beer goggles’, all of which replicate the effects of driving whilst under the influence of alcohol. The practical training will take place on private roads, with AA driving instructors in Ford Fiestas; however Ford has stressed that there will be no commercial pressure on pupils to buy cars. Ford has invested more than £1.2 million in the scheme and helped more than 5000 young drivers. The 2014 programme will start in Scotland at the Silverburn Shopping Centre in Glasgow from 18 to 20 September. The second venue will take place at the Heritage Motor Centre motor museum in Gaydon, Warwickshire, on the 4 and 5 October, before the programme moves south to Chobham, Surrey, from the 7 to 9 October. There are two identical training sessions available on each day, one in the morning and one in the afternoon. Participants can sign up for the free driver training at www.forddsfl.co.uk and must be aged 17-24 with a full UK, manual driving licence.